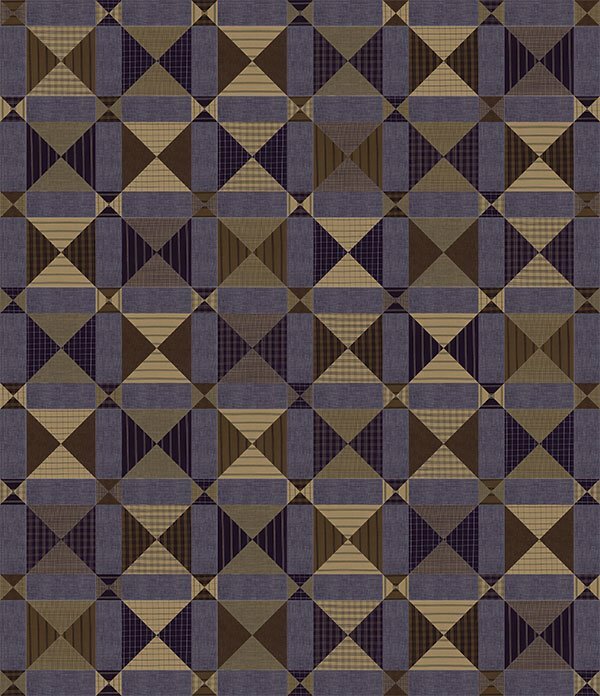 The Full Time, Part Time Quilt Kit features lovely Primitive Gatherings navy and brown homespuns. The Full Time Part Time Quilt Kit includes the pattern and the fabric for the top and binding. The finished quilt measures 69" x 80".